Model refinement is an important aspect of the model-building process. It can be described as a procedure which, starting from an abstract model of a system, performs a number of refinement steps in result of which a more detailed model is obtained. At the same time, in order to be correct, the refinement mechanism has to be capable of preserving already proven systemic quantitative properties of the original model, e.g. model fit, stochastic semantics, etc. In this study we concentrate on the refinement in the case of self-assembly models. Self-assembly is a process in which a disordered ensemble of basic components forms an organized structure as a result of specific, local interactions among these components, without external guidance. We develop a generic formal model for this process and introduce a notion of model resolution capturing the maximum size up to which objects can be distinguished individually in the model. All bigger objects are treated homogenously in the model. 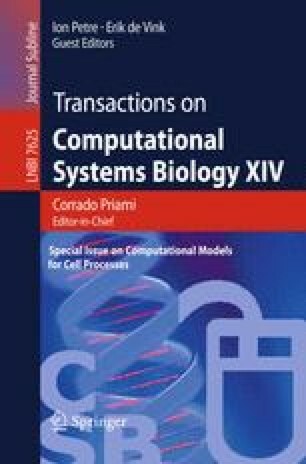 We show how this self-assembly model can be systematically refined in such a way that its resolution can be increased and decreased while preserving the original model fit to experimental data, without the need for tedious, computationally expensive process of parameter refitting. We demonstrate how the introduced methodology can be applied to a previously published model: we consider the case-study of in vitro self-assembly of intermediate filaments.